Converts trigger signals to gate events. M: Gate length modulation input. 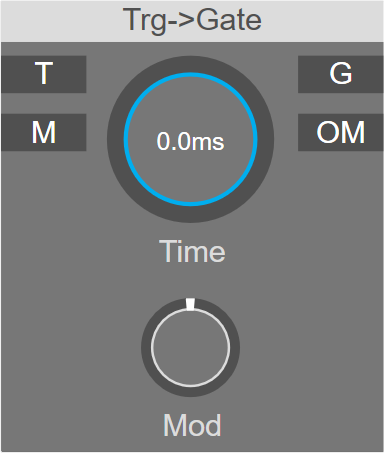 OM: Outputs the modulated gate time in milliseconds.